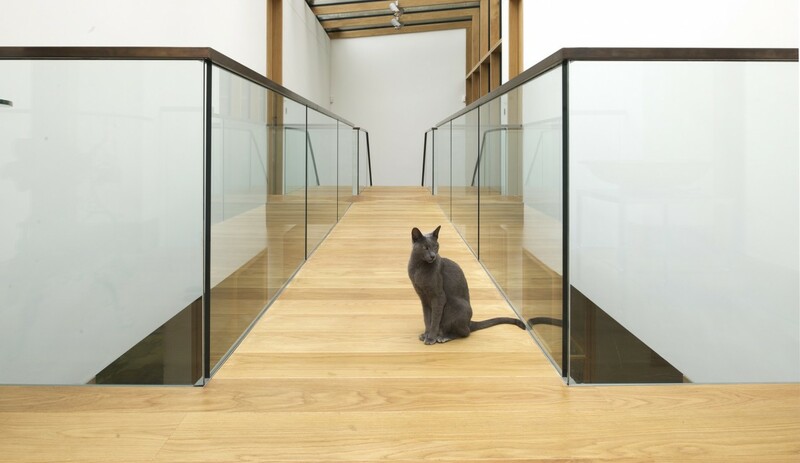 The architects brief was to design an upmarket residential property in the north London suburb of Highgate. 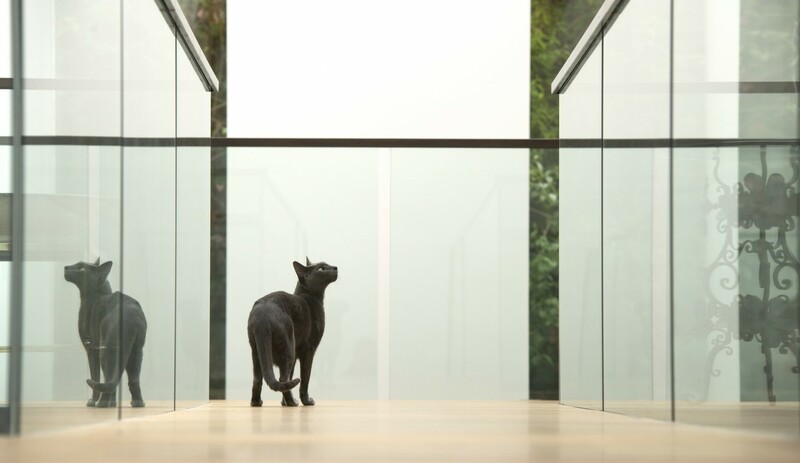 The design called for a subtle blend of traditional and contemporary architecture. 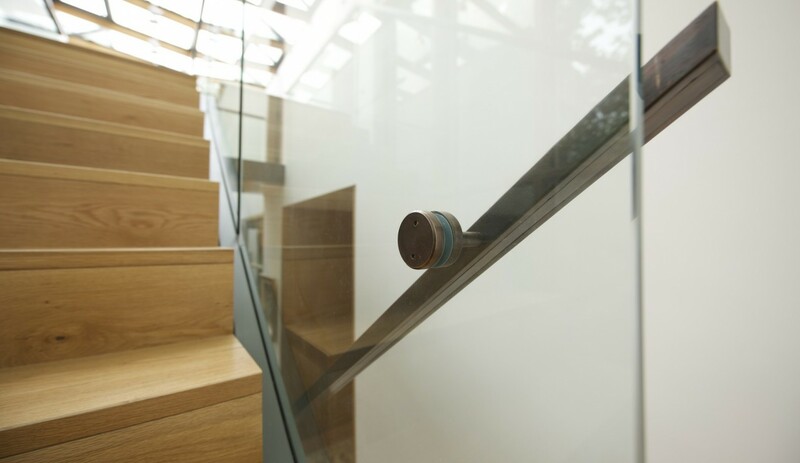 The architect had specified a rectangular bronze handrail in combination with seamless glass balustrading. 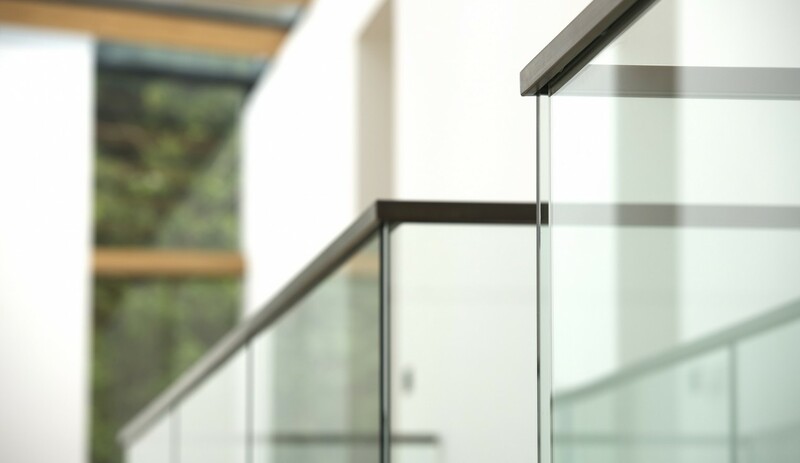 However as the costs were coming out way above the client’s budget, the contractor approached BA Systems. 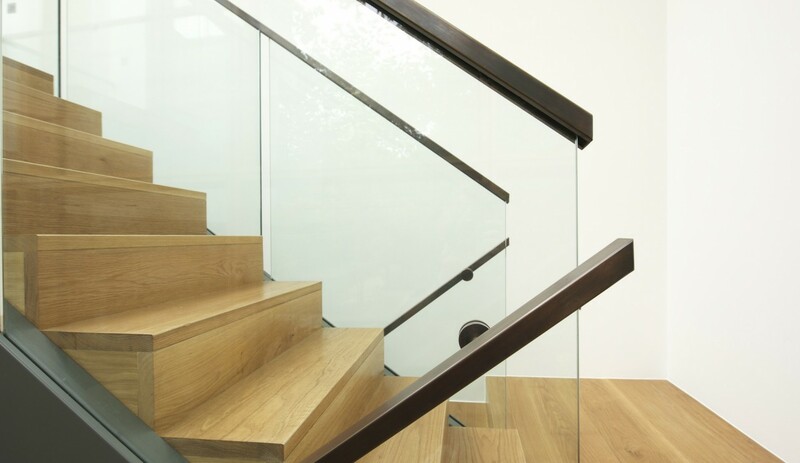 BA Systems have many years of experience in creating glass balustrade systems. 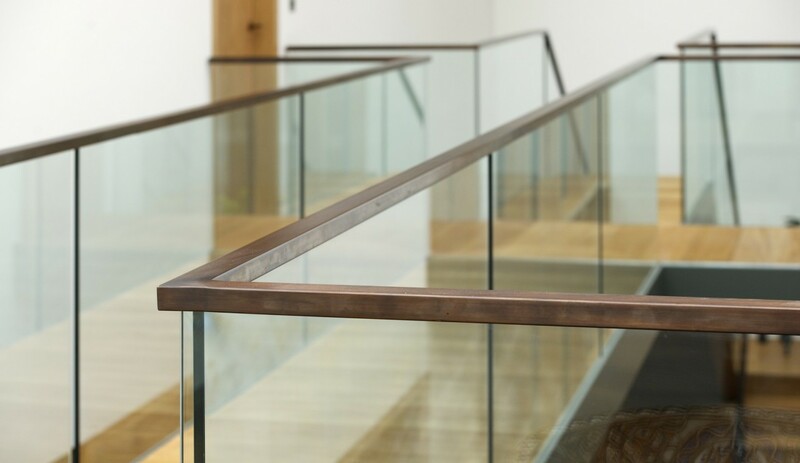 Using our B40 System with Legacy square handrail we were able to provide a unique design that not only significantly reduced the cost, but at the same time retained the spectacular appearance that the design specification required. 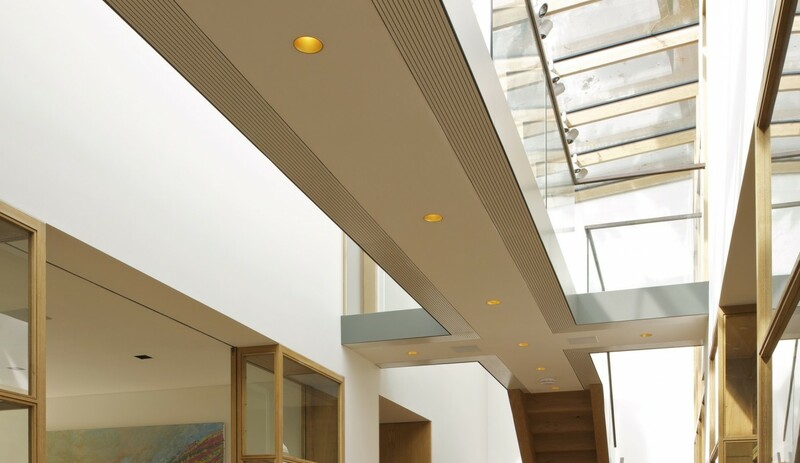 Consequently the architect, client and contractor were all delighted with the outcome. 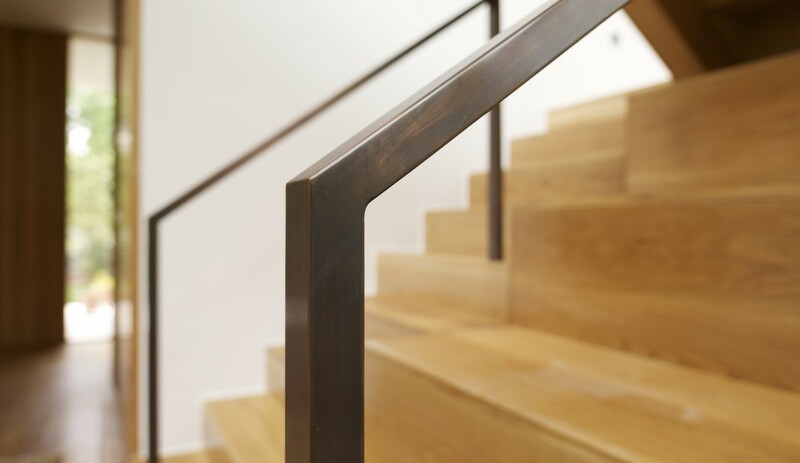 By careful design co-ordination, all the base fixings where kept hidden and integrated into the stair & floor build-up – maintaining the architects desired minimalistic design.